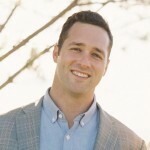 Drew DeWalt is co-founder and COO of Rhumbix, a company that builds mobile smartphone tools designed specifically for the construction craft workforce. He started in the construction industry by working in large energy infrastructure project development with Valhalla Energia in Chile, Mainstream Renewable Power and Hunt Oil. Prior to that, Drew was a US Navy nuclear submarine officer and an assistant professor at the University of Notre Dame. He holds a bachelor of business administration from the University of Notre Dame as well as an MBA and an MPP from Stanford University.